Region blocked in some countries. 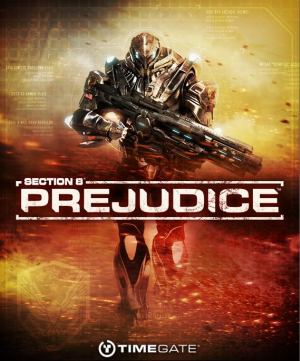 Region Lock Game on Steam, Latin America Users cannot view or purchase the game. In this section find PawnFOVScale=1.0 and change the multiplier. In this section find PawnFOVScale=1.000000 and change the multiplier. 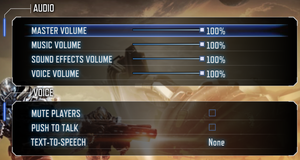 Some sections of config file may not be present, until a specific gamemode is played for the first time. 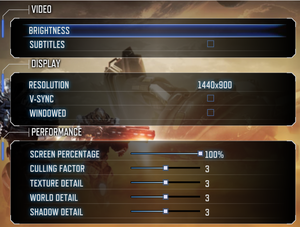 Anisotropic filtering is changed along with streaming options, when player adjusts Texture Detail. It is possible to manually change the Anisotropic filtering options. Find a line MaxAnisotropy= and change its value. Changing any graphical option will result in a game reverting the settings to original values. There is an option for Multisampling in S9Engine.ini, but it does nothing. Instead use SMAA injector or force AA from graphics drivers panel. Go to <path-to-game>\Binaries\Win32\ and paste the files here. Change weird_steam_hack = 0 to weird_steam_hack = 1. Online features require a Microsoft account. 40 Online matchmaking services are offline as of February 2013 rendering some achievements discontinued. Uninstall both Microsoft Games for Windows - LIVE Redistributable and Microsoft Games for Windows Marketplace. Run the game again. It should now work fine and re-download your profile. ↑ 2.0 2.1 File/folder structure within this directory reflects the path(s) listed for Windows and/or Steam game data (use Wine regedit to access Windows registry paths). Games with Steam Cloud support may store data in ~/.steam/steam/userdata/<user-id>/97100/ in addition to or instead of this directory. The app ID (97100) may differ in some cases. Treat backslashes as forward slashes. See the glossary page for details.